Happy New Year from our team at George R. Belche Attorney at Law. If you’re walking into 2019 with the burden of carrying your high interest credit card debt, it can feel crippling. This can be a common source of serious financial problems for you and many Americans. Filing for bankruptcy is one way to wipe out most nonpriority unsecured debts other than school loans. You will need to determine which bankruptcy filing is right for you, and George R. Belche can help you do that. Unsecured debt is a loan that is not backed by an underlying asset. This includes credit card debt, medical bills, utility bills and other types of loans or credit that were extended without a collateral requirement. 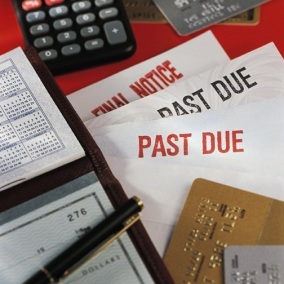 Chapter 7 bankruptcy can take an average of three to four months to complete. Chapter 13 bankruptcy will most likely require you to pay back a portion of your unsecured debts through a three to five year repayment plan on favorable terms. Contact the office of George R. Belche to seek bankruptcy protection in 2019. He will give you honest, complete answers to questions about rebuilding your credit. Call his office today.